Dr Kosy grew up in Wollongong and moved to Sydney to complete his Bachelor of Dental Surgery degree. 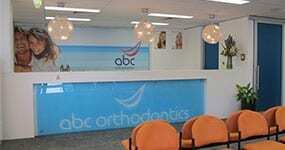 After working in the Illawarra, he moved to Newcastle where he practiced dentistry for thirteen years. His keen interest in orthodontics led him to undertaking a Diploma in Clinical Dentistry majoring in Orthodontics, Implants and Advanced Restorative Dentistry which led to an invitation from the University of Adelaide to join the three-year Doctorate in Clinical Dentistry in Orthodontics programme. Ed moved to Adelaide in 2001, where his son James was born a year later. The programme provided Ed with excellent training and experience with the best new methods and materials in the treatment of juvenile, adolescent, and adult orthodontic concerns. In parallel, he completed special needs orthodontics courses, including the treatment of temporal mandibular joint dysfunction, obstructive sleep apnoea, and cleft lip and palate. Ed’s primary doctorate research was a joint project between the orthodontic and oral neurophysiology departments into the reflex control of the jaw closing muscles prior to and during orthodontic treatment. While working as a senior registrar at Adelaide Dental Hospital in the last year of the programme, he was seconded to the world renowned craniofacial unit at the Adelaide Women’s and Children’s Hospital and the cleft lip and palate unit at Flinders University. In the same year, he travelled overseas to become one of the first post-graduate orthodontic students in Australia to successfully sit the examinations for Diploma Membership of Orthodontics of The Royal College of Surgeons of Edinburgh. Having received his Doctorate of Clinical Dentistry in Orthodontics, Ed became a certified member of the Australian Orthodontic Board. In 2004, Ed returned to the city he loved, set up home in Newcastle, and the following year his daughter Kate was born. He renamed his practice ABC Orthodontics with the aspiration to offer the Hunter community the very best in orthodontic treatment. 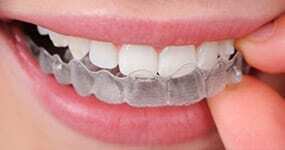 To support that, he regularly attends local and international continuing education seminars and conferences, so he can continue to provide patients with the latest proven orthodontic technology and techniques. Ed teaches is a Member of the Royal College of Dental Surgeons. Recently, Dr Kosy has been made a Member of the Faculty of Examiners in Orthodontics for the Royal College of Surgeons in Edinburgh and also recently became the consulting Orthodontist for the Maxillo-facial Surgery Department at John Hunter Hospital. His current professional associations include the Australian Dental Association, the Australian Society of Orthodontists, the Australian Association of Orofacial Orthopaedics, the Australian Society of Lingual Orthodontists, the World Federation of Orthodontists, the American Society of Orthodontists, the International Society of Orthodontists, the Begg Orthodontic Society, the European Orthodontic Society, and the Academy of Orofacial Pain Management. 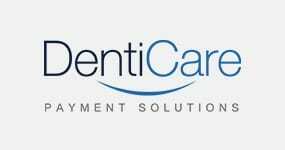 For over ten years, he has been a committee member of the Australian Dental Association’s Newcastle division and has served it as president and chairman. Dr Kosy aims to give his patients the best treatment available, with the least discomfort and disruption to their lives. Having children himself, he believes that patients and their families should feel welcome and at ease in every visit. The practice, which Ed purchased in 2005, is the longest established orthodontic practice in the Hunter community and is therefore a big part of this community – a tradition that he wants to continue in a modern way. For the convenience of all patients in the region, the practice located in Broadmeadow has onsite parking, a large welcoming waiting room with game consoles to entertain our patients and their family members, state of the art treatment facilities and modern treatment technologies. A keen supporter of charity, the practice’s favourite cause is the Kids with Cancer Foundation. For example, the foundation receives all profits of oral hygiene products the practice sells. Dr Kosy is also a sponsor for local sport such as Junior Rugby Union and Newcastle Surf Lifesaving.